Most performances of Sondheim music include the composer’s music and lyrics in their original form drawn from the musicals he has composed. Tuesday evening’s New York Philharmonic performances showcased Sondheim’s music in the form of various suites, no vocals, providing a showcase for both the orchestra and the composer. 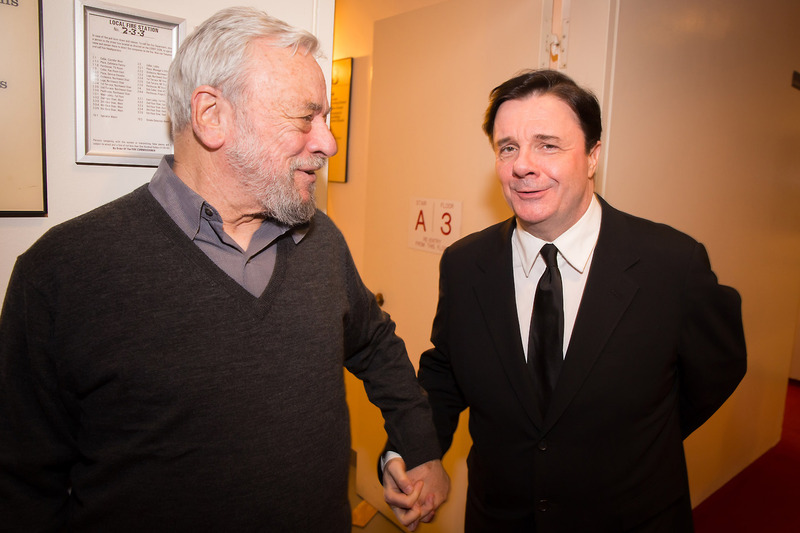 Hosted by Nathan Lane, the evening featured music from Sunday in the Park with George, Pacific Overtures, Into the Woods, Sweeney Todd and two lesser known works – Stavisky and The Enclave. For this performance I was able to get a seat closer than I usually sit to the orchestra. The difference in the sound quality was remarkable! Not only was the music beautiful, but the nuances in the orchestra were unlike anything that I’ve heard before. Is it the room? I have heard how bad Avery Fisher Hall is acoustically. Or is it just that I was sitting in a place in the auditorium that provided the best listening and viewing experience? As I ponder my next season subscription to the Philharmonic, I will have to consider upgrading my seats. I also learned that there is a Symphonic Sondheim CD available on Amazon. Apparently, it is a collectors item, available only from private buyers. I’m looking forward to something new to listen to.